Lebron James has definitely proven himself over these years and that includes single handedly taking his Cleveland Cavaliers to the NBA Finals last year. Currently he is battling with DeShawn Stevenson of the Washington Wizards for a spot in the second round of the Playoffs. 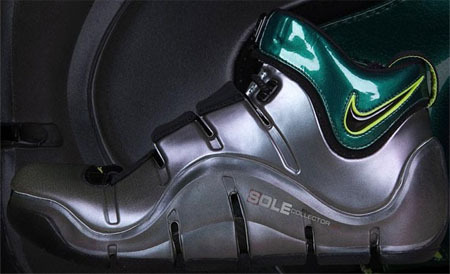 With that said, here’s a preview of a sample Nike Zoom Lebron IV. 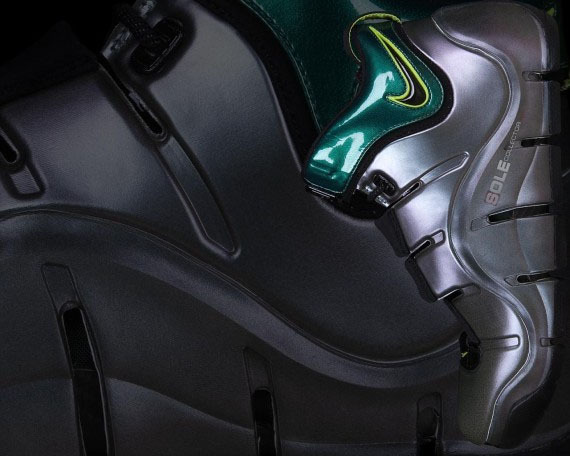 Featured is a foamposite upper which sports a iridescent metallic silver, green and neon yellow. 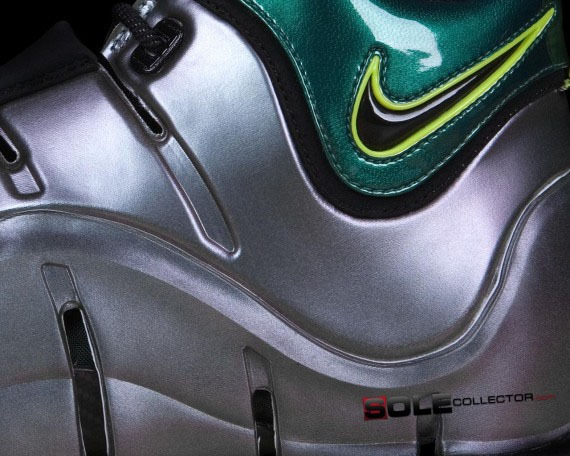 No official information has been released describing the history of this shoe, but looks very familiar to the University of Oregon Football team colors. Seeing how these are only samples, nothing has been said if these are or are not releasing. Via Sole Collector. why are they droping these they are last years lebrons whats the point there is no such thing as a lebron retro ??????????????????????????????? there was no such thing as a jordan retro back in the day…..but then they retroed the 1…..
these are nice they're different colors blend nicely, and the Lebron IV is one of the better lebrons in the collection, I'd buy 'em.